Dwarf citrus trees benefit from annual pruning to shape the tree, help fruit ripen, promote maximum fullness and keep the tree healthy. Gardeners can prune indoor citrus trees at any time. Prune outdoor citrus trees in the summer to fall when the blossoms begin to develop fruit. Since the trees are small, pruning takes little time. Don't remove more than one-third of the wood in one season. 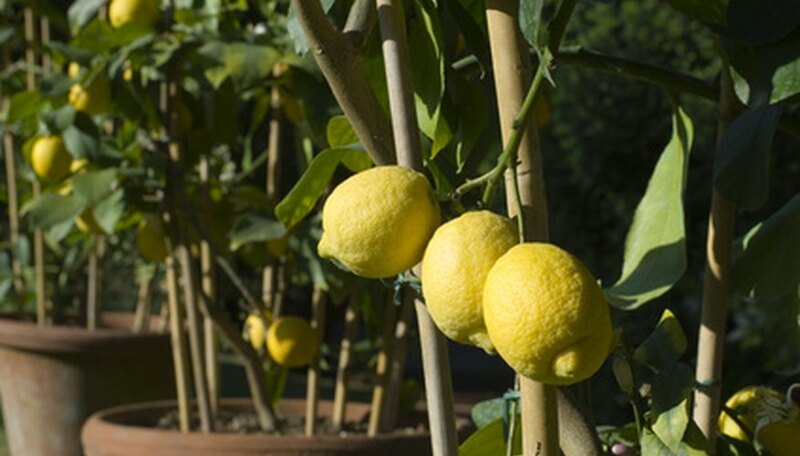 Wait until your dwarf citrus tree begins to bear fruit so you can see where the fruit will set. If you prune before the tree begins to develop fruit you risk removing fruit-bearing wood. Prune back the tips of branches that aren't growing fruit, cutting back to right before a leaf. This opens up the tree canopy to light and air, which helps citrus ripen. Trim back the tips of long branches using your pruners. Cut back to a lateral branch or to just before a leaf. Leave the fruit-bearing limbs alone unless the limbs are too weak to bear the weight of mature citrus. In that case, pick off the developing fruit to allow the limb to continue to grow. Weak limbs will break under the weight of citrus; this may cause more damage to the tree. Check for dead, diseased or damaged branches on your dwarf citrus tree. Dead branches have few to no leaves and feel hollow. Diseased and damaged branches may be discolored or scarred. If left on the tree, they can spread disease. Clip off dead, diseased and damaged branches with your pruners. In between each cut, spray your pruners with disinfectant spray to avoid accidentally contaminating healthy parts of the tree.